I subscribe to at least as many design and lifestyle blogs as I do food blogs. One of my favorites? Steph Modo. 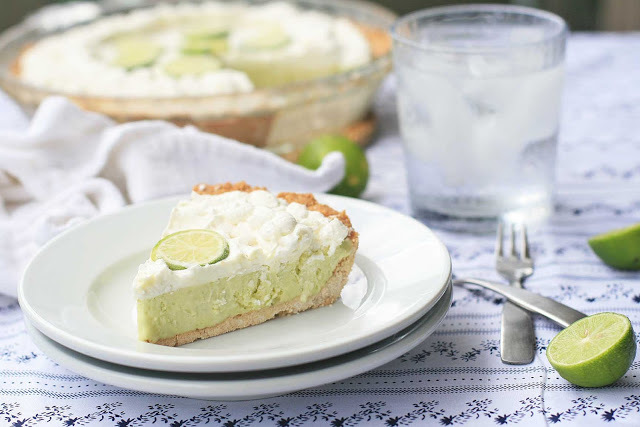 Steph recently sung the praises of the Barefoot Contessa’s frozen key lime pie, saying it was her favorite non-chocolate dessert and that it pretty much changed her life. Other reviews were equally enthusiastic, with one reviewer saying this was their “death row dessert” (hopefully not literally). Was I intrigued? You bet. 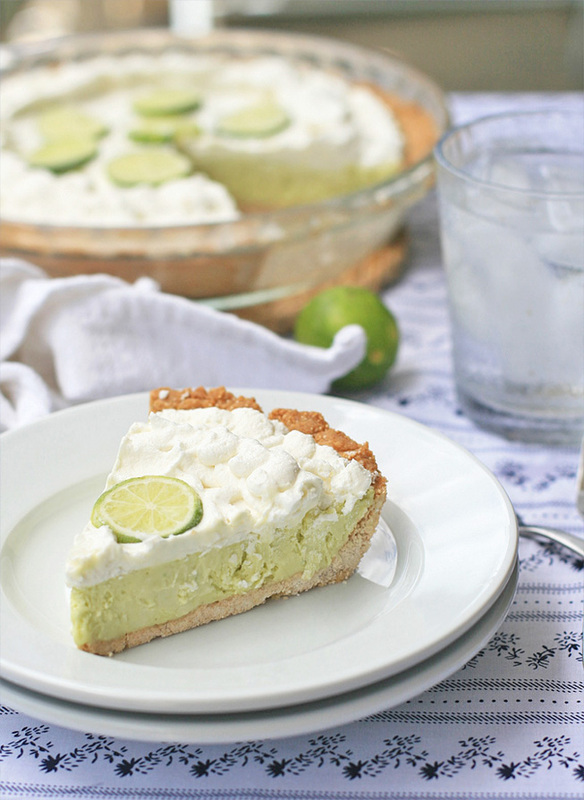 A sweet, tart and creamy key lime filling inside a crunchy graham cracker crust? Sign me up. 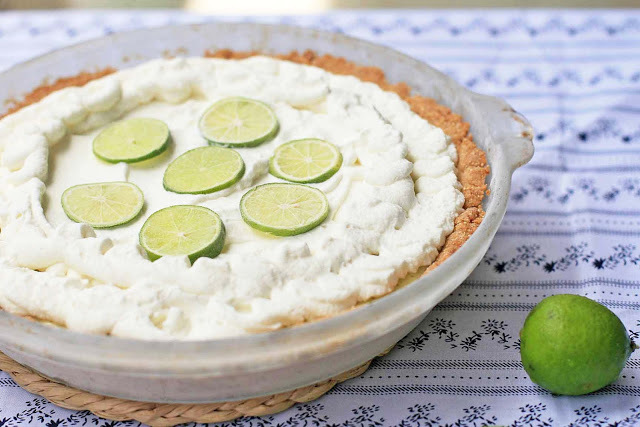 And as we head into summer, I think we could probably all use some make-ahead desserts for those hot and brutal days to come. The only roadblock for those of us who are gluten-free? 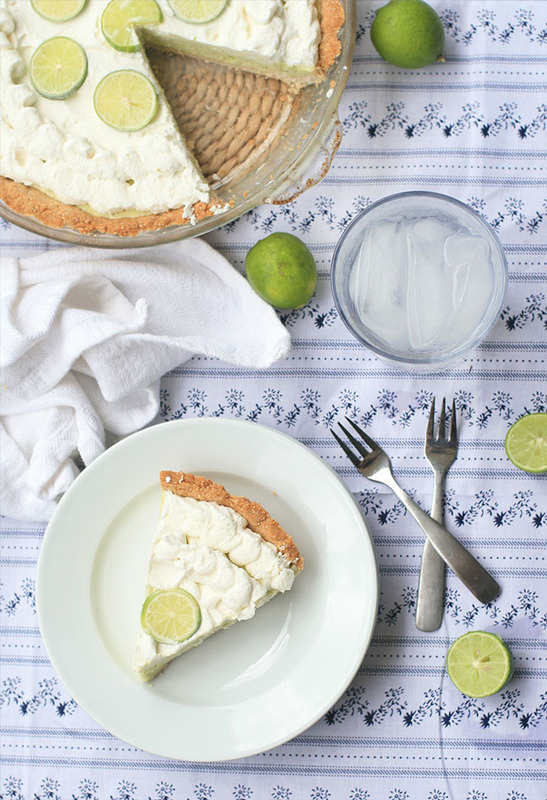 The graham cracker crust. Gluten-free graham crackers are just too expensive and I don’t want to have to bother making graham crackers from scratch just to make a pie crust. My solution? Adapt my favorite tart shell crust by adding some amaranth flour, honey and cinnamon. You end up with a crunchy, sturdy and graham-tasting crust that holds up perfectly- even the first slice came out perfectly clean. Preheat oven to 350 degrees. Grease a 9-inch pie pan with cooking spray and dust generously with rice flour. 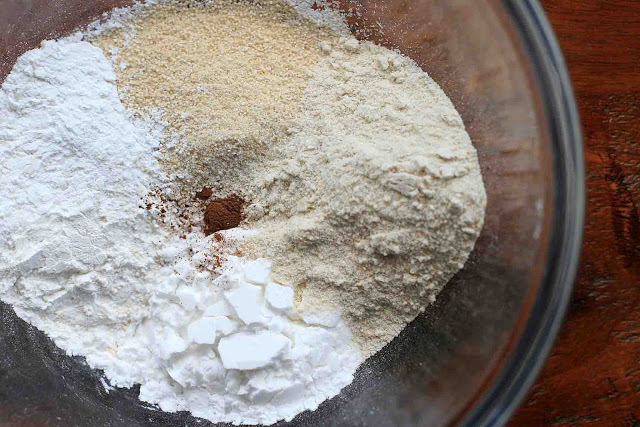 In a large bowl combine the rice flour, sorghum flour, potato starch, amaranth flour, xanthan gum, cinnamon, and sugar and stir to mix. Add the honey and butter and use a pastry cutter to blend until the mixture is crumbly. Press into the bottom and up the sides of the prepared pie pan. Bake for 16-18 minutes, or until the crust begins to turn golden. Remove from oven and set aside to cool. In a large bowl beat the eggs and sugar using an electric mixer on high speed for at least five minutes… it should be nice and thick. 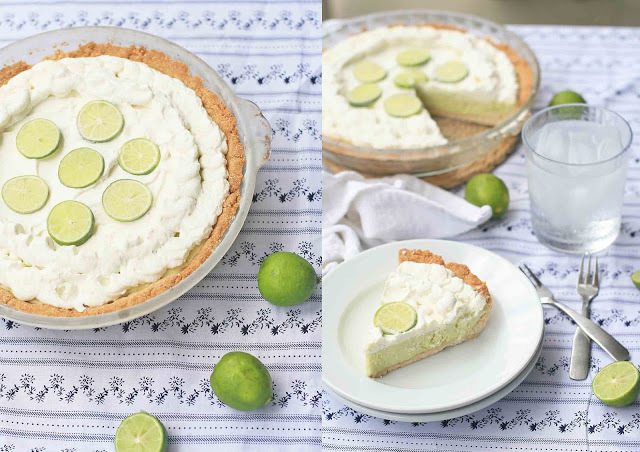 While the mixer is on, pour in the condensed milk, key lime juice and key lime zest. Pour into the cooled pie shell. Freeze for at least an hour. Prepare the topping by beating the whipping or heavy cream until soft peaks form. Add the sugar and vanilla extract and beat until firm. Either spread the topping on using a spoon or silicone splatula, or pipe the topping on using a pastry bag. Freeze 8 hours or overnight. Remove from freezer immediately before serving. Top with slices of key lime, if desired. Note: this recipe uses raw eggs. Please note that there is a small risk of salmonella and other food-borne illness. You can reduce this risk by using fresh, clean and properly refrigerated eggs.